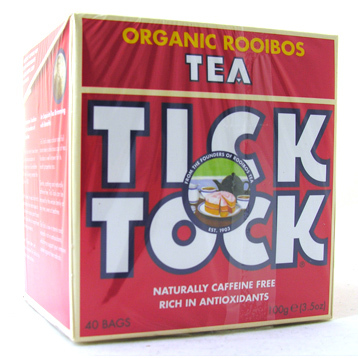 Tick Tock tea is still cured in the traditional way, as it was when Benjamin Ginsberg founded rooibos. The process takes place in the crisp air of the Cederberg Mountains of South Africa's Cape. 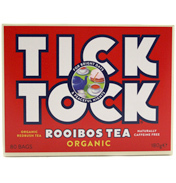 It requires great skill to know when the cure is at its peak; one sign is that it begins to give off a delicious sweet aroma that attracts wild bees. 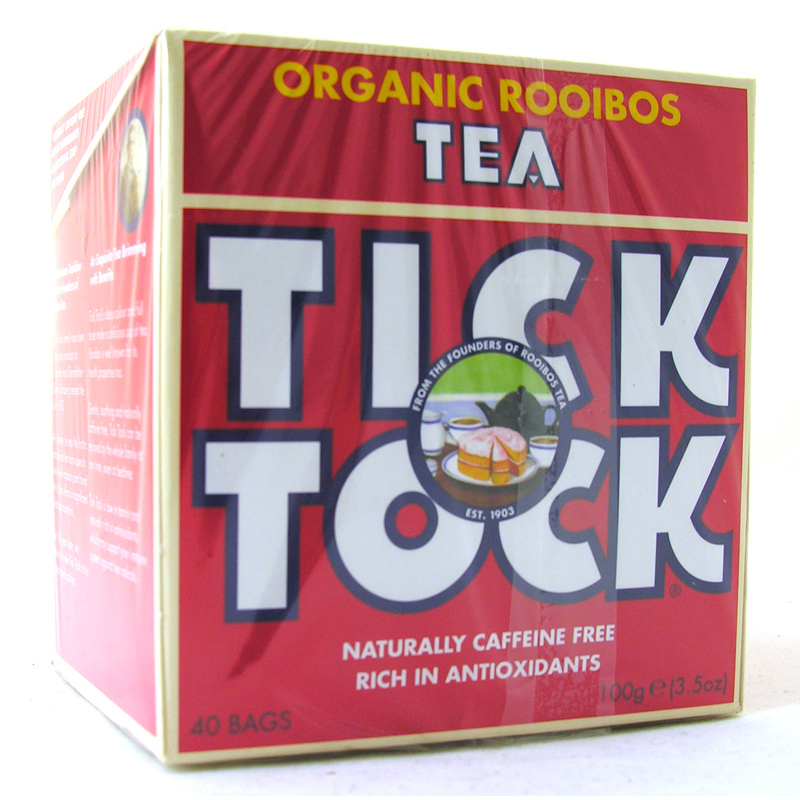 Organic rooibos teas are organically grown and naturally caffeine free, so they can be enjoyed at any time of day and are suitable for the whole family. Rooibos is rich in antioxidants and AHAs, long valued for fresh glowing skin, gently rehydrating and low in tannin.